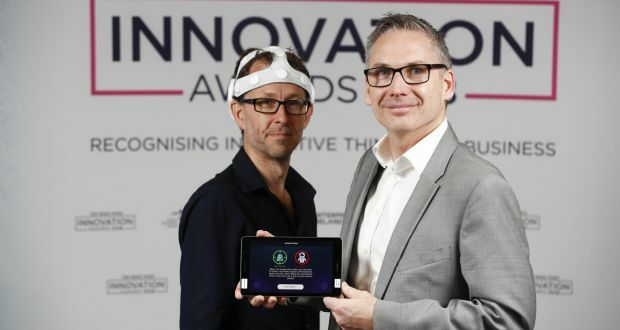 Clarendon portfolio company, Belfast-based BrainWaveBank won the Life Sciences and Healthcare award at The Irish Times Innovation Awards 2018 for its ‘fitbit for the brain’ which has the potential to enable much earlier diagnosis of Alzheimer’s and other degenerative brain diseases with a view to facilitating earlier and hopefully more effective treatment of these conditions. The technology has been proven in a number of demonstrator trials and the company has just been asked by the Northern Ireland department of health to work on research into pre-psychosis in teenagers. Pictured above are the company’s CEO Ronan Cunningham (right) and CSO Brian Murphy.